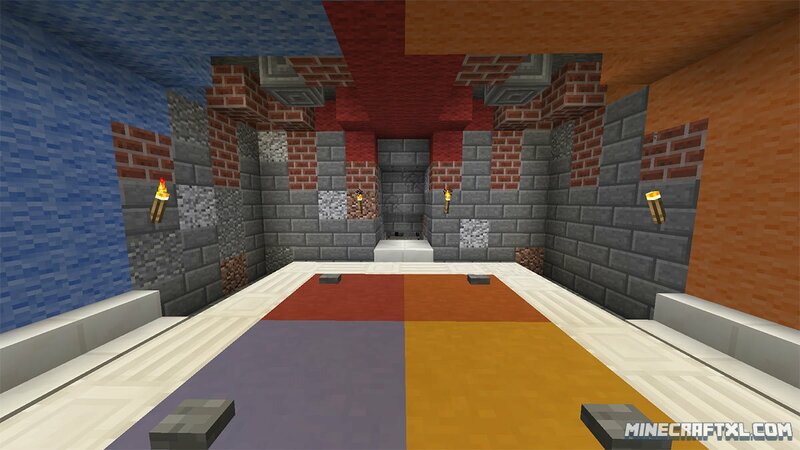 Infinity Dungeon is a map of, wait for it, infinite dungeons. Well, almost. Each time you start the map, the different sections that the dungeon is composed of are randomized, and you can even randomize them during a dungeon run, if you’re having too much trouble or have already found anything worth finding. The goal is to find differently colored mosaic glass, in order to complete the infinity generator. Other than that, there is an overarching story, and a very secret ending, but don’t tell anyone about that. Infinity Dungeon also features custom loot with sometimes wacky descriptions, as well as custom enemies and of course random customized dungeons. It has a rogue-like quality in that every run will have a different dungeon, which means that each playthrough will be different than the one before. There are many varied sections of the dungeon, and they are often open to the sky, so if you are worrying about constantly being in dull dungeons underground, don’t worry, that is not the case. 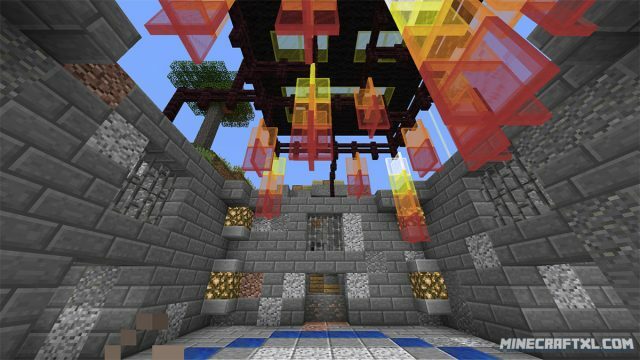 You will explore ponds, libraries, nether-like areas, and much more. It is a fun map, it is very varied, it has a story, and it is pretty unique in terms of Minecraft maps, so pretty good overall! 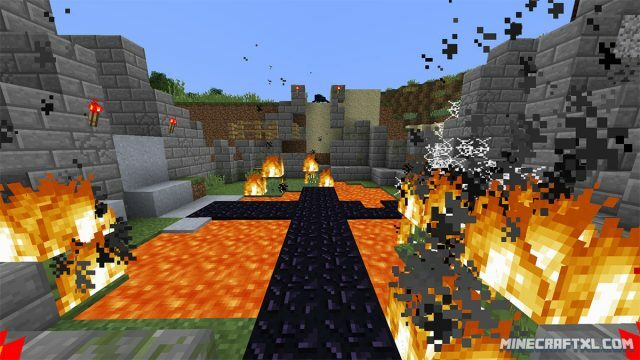 Minecraft 1.8 or newer is required to play, as it uses features only available in that version. 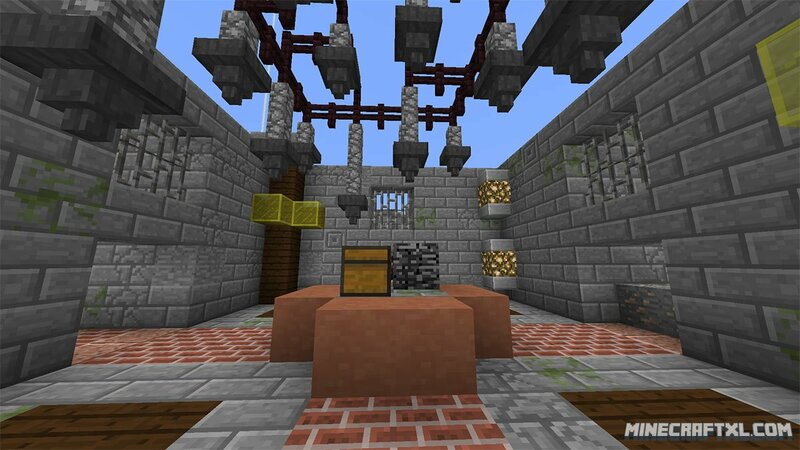 No mods, plugins or addons are needed though, just vanilla Minecraft v. 1.8 or higher. If you are playing on SMP, ensure that enable-command-block is set to true in the server.properties file! If you for some reason did not spawn in the correct place at the beginning, the coordinates for the core are: X: 1671 Y: 108 Z: 1320. That is all, enjoy the map and have fun, see how fast you can complete it!